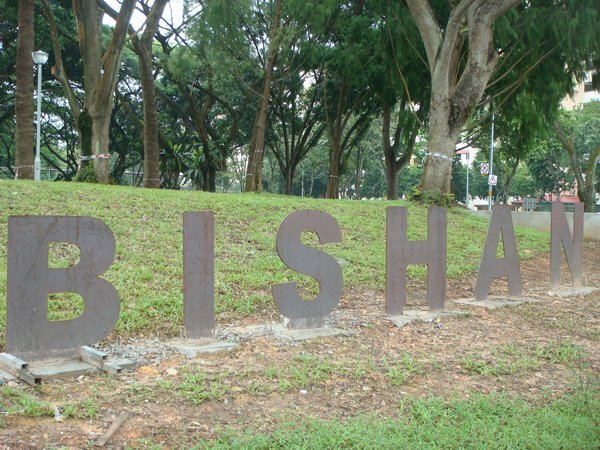 The Bishan park is one of the largest parks in Singapore; stretching along Kallang River until the Lower Pierce reservoir. 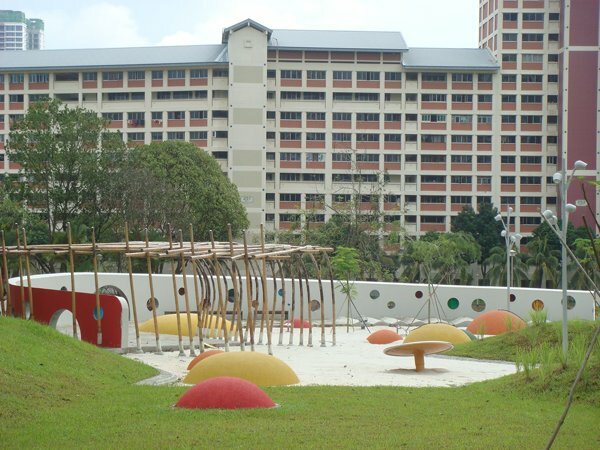 As of 2010, it is still under major revamp due to the "bringing Kallang river to Bishan park" project, due in 2011 : the concrete canal holding the Kallang river is to be transformed into a natural river bed. By public transport: The closest MRT stations are Ang Mo Kio and Bishan. From Ang Mo Kio MRT, the 132, 133, 136, 165, 166, 169 or 262 bus services can be taken. From Bishan MRT, you can use the 410 bus. By car: I didn’t see any dedicated parking lots, but there must be some. 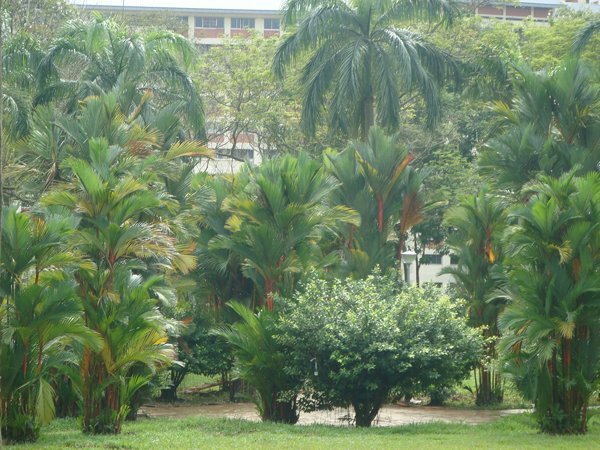 Along Ang Mo Kio Ave 1. The track: About 1.1km meandering around the construction sites. When the rehearsal of the park is finished, it will be again possible to loop back to the starting point. Starting from Bishan road, towards Marymount road. 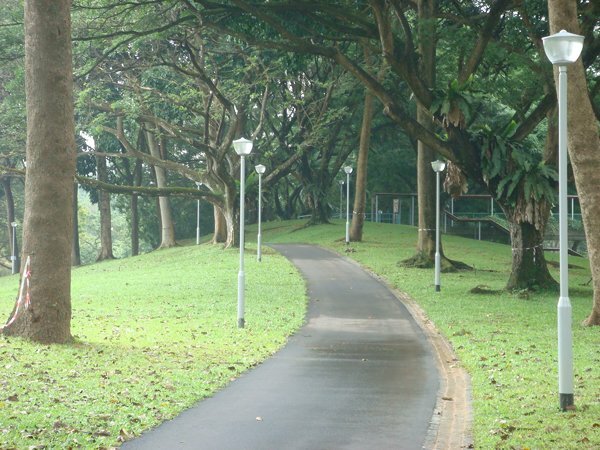 You can cross over and continue in the second portion of the park (another about 2km) until you hit Upper Thomson Road. You can then choose to continue to the Lower Pierce Reservoir park along Old Upper Thomson Road. The run is on an asphalted track, not totally flat. Water point: Didn’t see any, but likely there are some. The park and the dirt trail are lit in the early morning hours and during the evening.